You are fan Liên quân mobile. it let you calculate and convert any number of Quan huy, ruby and vang to any type of resource. 4. Đợi kết quả trong 24h tới. 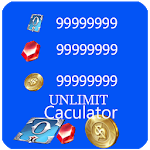 * "Calculator Quan huy Lien quan mobile" is only to help lienquaner in calculating cost of the quan huy, ruby and vang need. 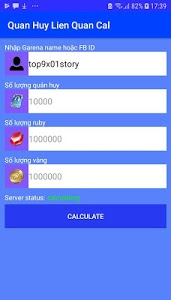 This app is NOT a cheat to get free quan huy in Lien quan mobile. --->This app is fan made!! This content is not affiliated with, endorsed, sponsored, or specifically approved by Garena and garena is not responsible for it. 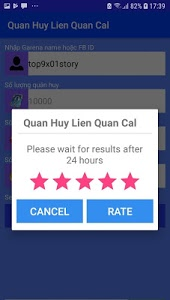 Similar to "Calculator Quan huy Lien quan mobile"